The running theme throughout Ligue 1’s eventful 79th season was change. Two young, upstart clubs gave the much more favorably financed, yet significantly remodeled four-time defending champions a run for their money. In the Champions League, a microcosm of these shifting fortunes played out in both surprisingly impressive and colossally embarrassing fashion. The currently unfolding transfer season will be very interesting to watch as these top clubs seek to adjust to the newfound parity and talent that combined to create the most exciting season in Ligue 1 in half a decade. 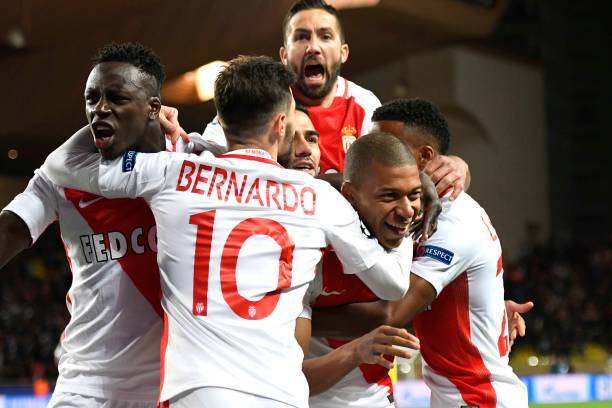 While the season concluded on May 20th, Monaco clinched their first title since the 1999/00 season with their week 37 victory just three days earlier. Their subsequent victory on the last day was a cherry on top of a 12-game winning streak and 20 game undefeated streak. After surpassing fellow surprise contenders Nice in week 20, Monaco would refuse to relinquish the top spot to either of Nice or hard charging PSG. To their credit, PSG gave Monaco an honest chase with an 8-game winning streak and 16-game undefeated streak of their own late in the season, before losing to Nice in week 35. But ultimately, surprise losses early in the season are what undid the defending champs. Meanwhile in the French Riviera, Nice had perhaps an even more surprising season than Monaco. Though the club faded in the second half of the season with an impressive collection of point-dropping draws, not only were they happy to play spoiler against PSG, but more importantly, they clinched a spot in the Champions League for the first time since 1959/60 (when it was still called the European Cup). Before the season, the addition of the mercurial Mario Balotelli to the team was a headline across Europe. But like Monaco, much of Nice’s success can be attributed to its cohesive group of relatively unknown, but scintillating youngsters (and intelligent coach), including Balotelli himself, who is still only 26-years old. In the gauntlet of the Champions League, PSG sought to snap their four-year getting-eliminated-in-the-quarterfinals streak. But first, they would have to play the always daunting Barcelona in the round of 16. In the first leg, PSG shocked Barça and soccer fans everywhere with a comprehensive 4-0 victory over the Champions League mainstays. But it would all go pear-shaped in the dying minutes of the second leg. With two minutes of regulation time left, it seemed PSG would cruise to the next round, but Barcelona had other ideas. Three Barça goals in the 88th, 91st, and 95th minutes would make the score 6-1, which would not only send PSG crashing out of the tournament, but also cement their place in history as the unfortunate party in this record-breaking comeback. Monaco’s run in the Champions League, on the other hand, echoed their successful campaign in Ligue 1 before being halted in the semifinals by Italian giant (and eventual Serie A champion) Juventus. Despite this dispatching, no one could say it was a truly disappointing outcome for the spirited underdogs. Of course, teams are only as good or as bad as their players’ individual performances and ability to work together. Despite the loss of ageless wizard Zlatan Ibrahimovic to Manchester United over the summer transfer period, PSG found good results relying on a patchwork of proven veterans and talented youngsters. The wizened master of the tap-in (and sometimes hilariously clumsy) Edinson Cavani served as the focal point of PSG’s attack and led Ligue 1 in goals scored. Midfield maestro Marco Verratti, only 24, drew much praise for his steady, pinpoint performances throughout the year. But, rich as they are, neither Nice nor Monaco had the pockets to match Qatari-owned PSG’s oily coffers. Instead, with notable exceptions, these clubs hitched their fates to that of their young and unproven talent. So, while Balotelli did lead Nice in goals scored, key performances from midfielders Jean Michel Seri (25-years old) and Wylan Cyprien (22) as well as defender Ricardo Pereira (23) significantly contributed to Nice’s surprising revival. As for the home of the Casino de Monte-Carlo, it is fitting that Monaco would hit the jackpot. After washing out of the Premier League, Falcao (31) led the club in goals while Thomas Lemar (21) led the entire league in assists with Bernardo Silva (22) tied with Nice’s Seri for 2nd place. Already, the aforementioned Silva has been sold to Manchester City for €50 million. But of course, no list of key players would be complete without wonderchild Kylian Mbappe (18). Currently the brightest crown jewel of the transfer market, the striker tallied 15 goals and 8 assists in only 1,501 minutes and…did I mention at only 18-years old? But this season was not just a showcase of blossoming players. It was an interesting one for coaches as well. As the three-time consecutive winner of the Europa League, PSG’s Unai Emery was specifically brought in as a tournament specialist—someone to take PSG to Champions League glory. Although that quest was brutally squashed, PSG’s owners will surely be expecting more from Emery after having had a year to get acclimated to his new environment. Monaco’s coach, Leonardo Jardim, who was appointed manager of Monaco in 2014, broke out of relative obscurity as he guided his team to the league title. But, how much of the result was due to him or to his players? As some players are lured away to more prestigious teams and others try to remain motivated after their title, it will be interesting to see how well Jardim can keep his meteoric Monacan machine operating. In Nice, coach Lucien Favre’s exploits very closely echoed his previous stint with Borussia Mönchengladbach. The Switzerland native can now add a French club along with his German counterpart to his list of formerly proud clubs in which he has breathed new life. Finally, and perhaps lesser recognized, was Sergio Conceicao at Nantes. Hired in December, Conceicao went on a very inspiring run, taking his struggling side from 19th place to 7th. Nantes should be able to view their time under him fondly, even though the man of Portuguese descent was recently given an offer he could not refuse from one of Portugal’s big legacy clubs, Porto, where he had spent four years as a player. On the other hand, it says something about the rest of the league that a team can go from 19th place to 7th in only six months. Outside of the much discussed top three teams, plus the two Olympiques, the final standings were fairly random. Teams that started out hot finished out cold in the bottom half of the table, and vice versa. The newly promoted teams Nancy, Dijon, and Metz all hung around the trunk of the table for a while before only Nancy was left in the cold, heartless cloud that is relegation, along with Bastia (and their awful, unruly fans) and Lorient. In their relegation/promotion playoff, Lorient lost their two-legged match with Troyes to seal their place in Ligue 2 next year. Joining Troyes up in Ligue 1 will be Strasbourg and Amiens. Amazingly, both Strasbourg and Amiens have hopscotched their way up to Ligue 1 after only one year in Ligue 2. Strasbourg return to the top flight after a nine-year absence and after having been relegated to the fourth tier in 2011 due to financial liquidation. Despite being founded in 1901, Amiens have never been. And so, after a historic Ligue 1 season, storylines are abound for next year that could have long reaching consequences in the years after. Will Monaco and Nice be able to maintain their magnificent form? Where will Mbappe end up? Will PSG ever get past the Champions League quarterfinals? As for me, the question of what newly hired coach Claudio Ranieri can do for Nantes in his return to Ligue 1 after both his nonrenewal at Monaco in 2014 despite an impressive performance and his utterly unlikely Premier League title with Leicester City, just became my favorite storyline of next year.